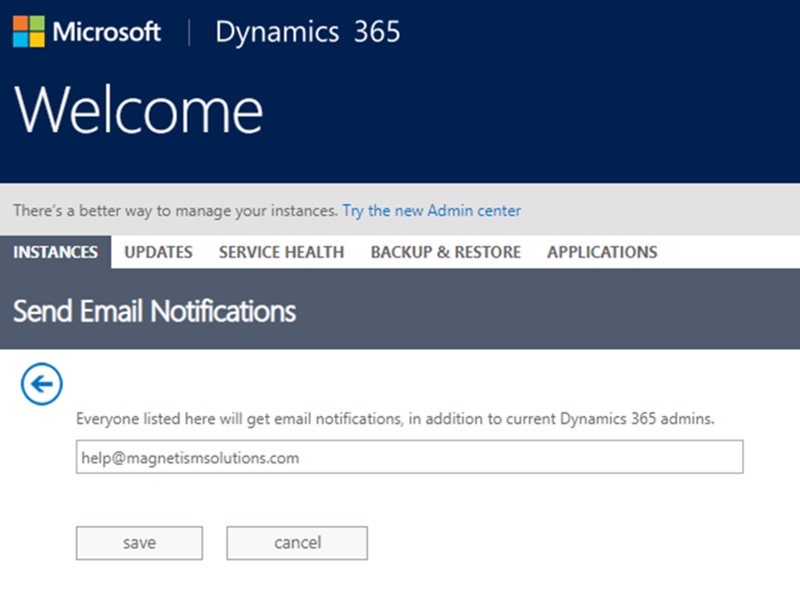 For Dynamics 365 Online, Microsoft sends email notifications of scheduled updates, storage limit warnings etc. to the administrators of the organisation. It’s possible to add additional email addresses such as Dynamics partners to this list as well. It is a good idea to include the Dynamics partner (if one is involved), as this allows them to work with the customer in a proactive way to manage any upcoming upgrades, storage issues etc. The following steps show how to add recipients to the notifications list. Step 1: Go to https://portal.office.com and sign in with your login details. Step 2: Click Office 365 menu bar and select Admin. You will need to have the System Administrator Security Role to access the Admin section. 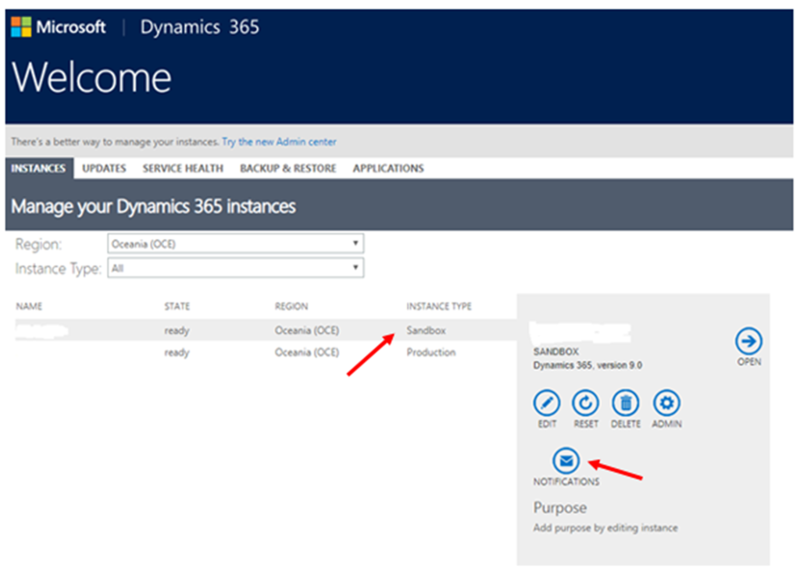 Step 3: Click Admin Centers and then select Dynamics 365. Step 4: In the Instances tab, select an instance that you would like to receive notifications for i.e. Sandbox, Production, etc. and then click Notifications. Step 5: Enter the email address you want to receive notifications for the selected instance and click Save. And that’s it. Now your partner will receive notifications automatically, which will help them to be proactive in supporting you using Dynamics 365.